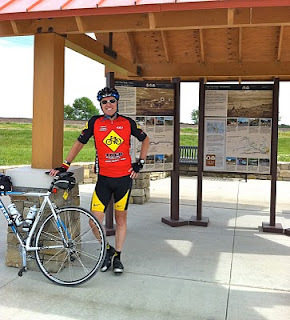 Randy Rasa, my partner in the Kansas Cyclist Podcast and I got together for a ride out to explore some of the historical places along what were the California, Oregon, and Santa Fe Trails which are very prevalent in this area of Kansas. We had a beautiful sunny Monday afternoon, low humidity, and temperatures in the mid 80's which was a welcome change from the hot and sticky conditions that we had over the weekend. Kansas City was the starting point for many who journeyed west by covered wagon in the 1800's and as can be seen from the picture to the left there were many branches to the trails until they pretty much ran together from the Lone Elm Campground to Gardner Junction. Randy lives in Olathe so we met at the Lone Elm Park which is the site of the Lone Elm Campground. The campground was one of the most famous frontier trail campsites and rendezvous points. 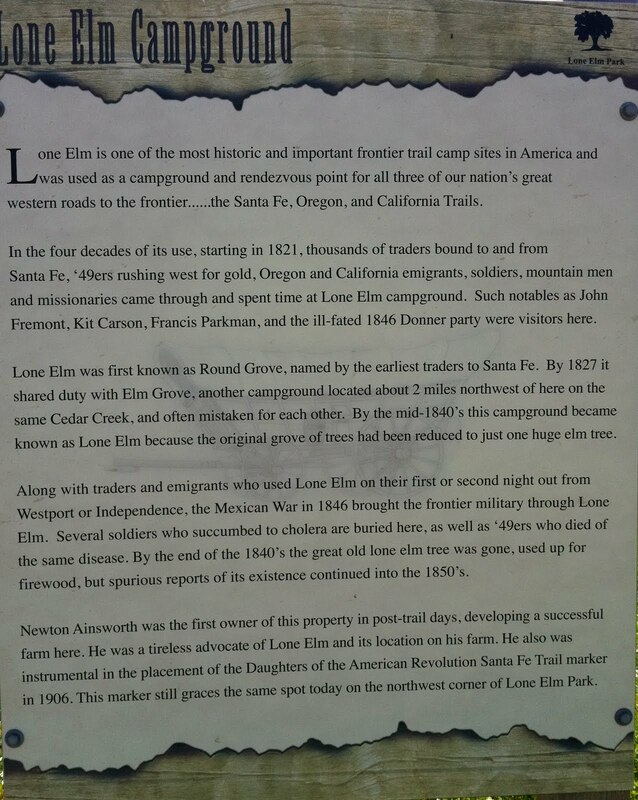 In the almost four decades of its use starting in 1821, thousands of Santa Fe traders, Oregon and California emigrants, mountain men, missionaries, soldiers and ‘49ers passed through or camped at Lone Elm, including such frontier notables as William Becknell, John Fremont, the Donner-Reed party, Kit Carson and Francis Parkman. 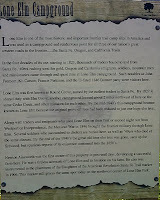 Along with traders and emigrants who camped at Lone Elm on the first or second night out of Independence or Westport, Missouri, the Mexican War in 1846 brought the frontier military through Lone Elm. Several of these soldiers and also ‘49ers who succumbed to cholera are buried at Lone Elm. Today there is a 160 acre community park which was dedicated in 2004. 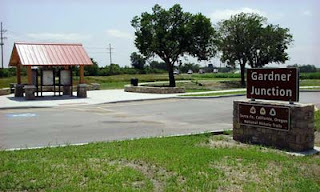 The park features many modern amenities but is unique for its history, native trees, and native prairie that are maintained by park staff. During construction of the ball fields, several artifacts were discovered that dated to pioneer travelers. The park offers visitors a quiet walking trail that winds through forests and prairie lands and past three original water wells. The wagon swale can still be seen at one point along the trail where it crossed the creek. It is a great place to bring the kids and reminisce on the past or participate in other outdoor activities. 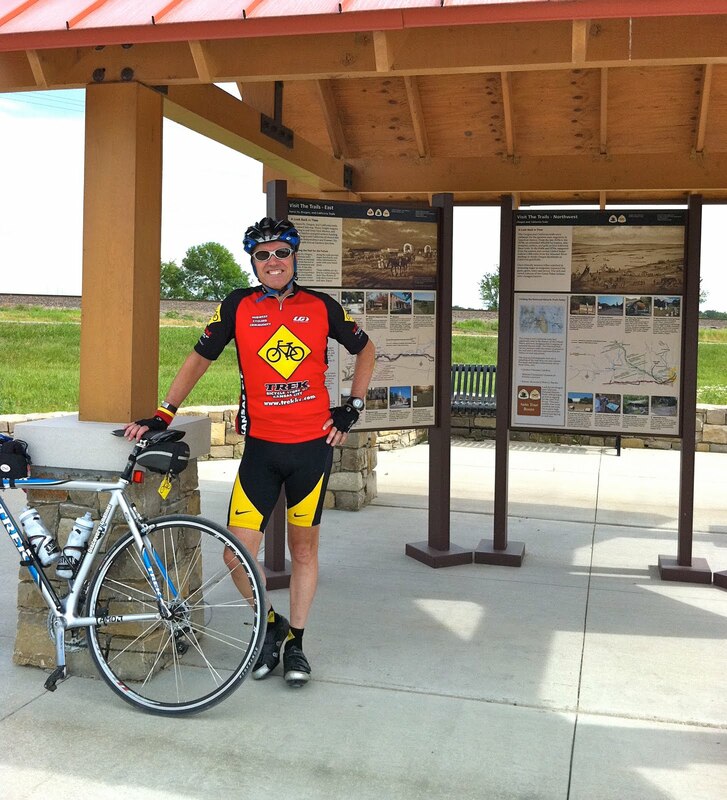 From the Campground we rode over to Garner Junction which is located just west of Gardner, Kansas. Built adjacent to the site where the Santa Fe National Historic Trail splits off from the Oregon and California National Historic Trails, this park commemorates the site where perhaps as many as 500,000 traders, trappers, missionaries, land seekers, gold rushers, and others passed through on their way to create what would become the American West during the 19th century. 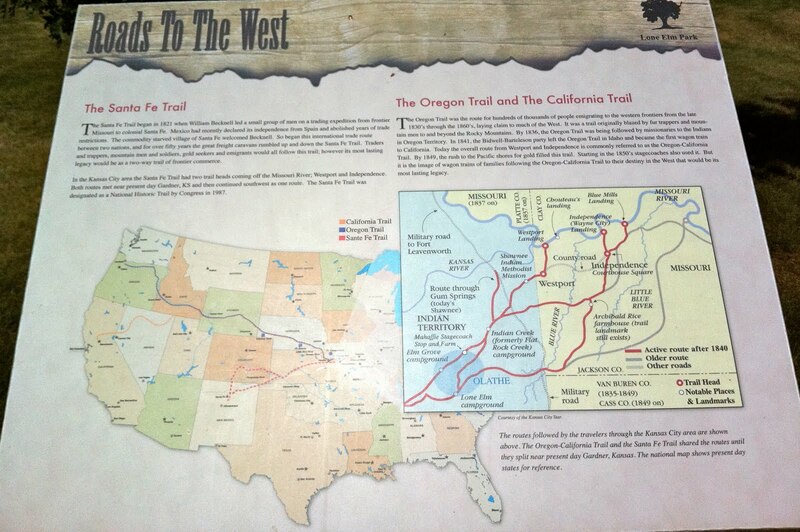 This is also near the site where the Westport and Independence Routes of the Santa Fe-Oregon-California National Historic Trails come together, making the Gardner Junction a very unique site in American history. I was a bit underwhelmed at the site since Randy had talked about it several times before and we also got caught by a train for nearly 20 minutes on the way to the site. After spending some time reading the plagues and imagining what it was like with covered wagons moving through I highly recommend a visit to the site! The park is called the Gardner Junction Park and you can get more information at this link. Randy and I took a couple of pictures then we were on our way to Edgerton, Kansas for a SAG stop at one of the convenience stores. 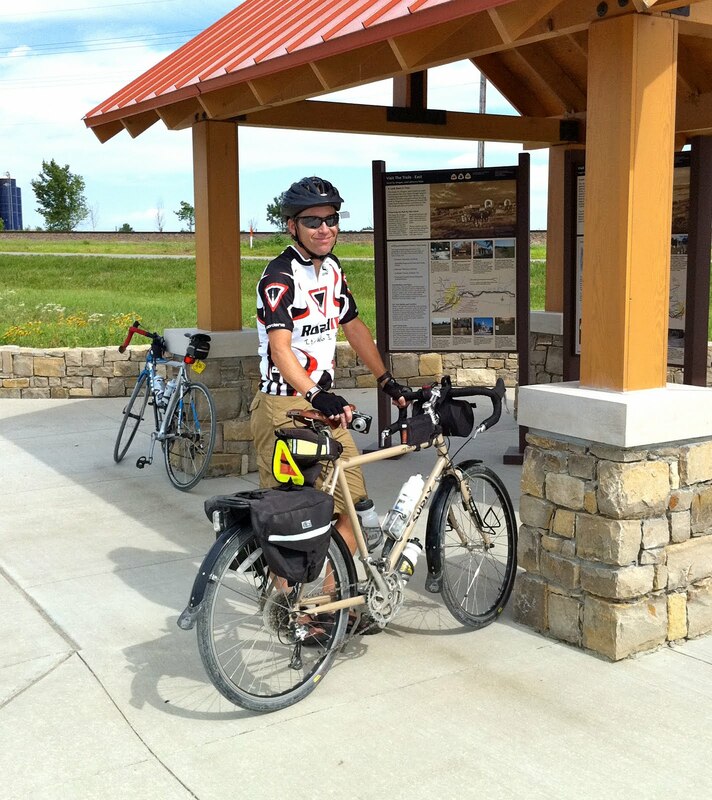 Our ride took us back up through Gardner, Kansas and then over 159th Street where we split at Lone Elm Road back to our respective houses. I always enjoy riding with Randy as he knows the area so well and through the Kansas Cyclist website knows of all the trails and sites in Eastern Kansas and beyond. Someday I will need to take my son's mountain bike and go on a gravel Ramble as some of the back roads are even more interesting. A map of the ride from my house can be uploaded from my Garmin. 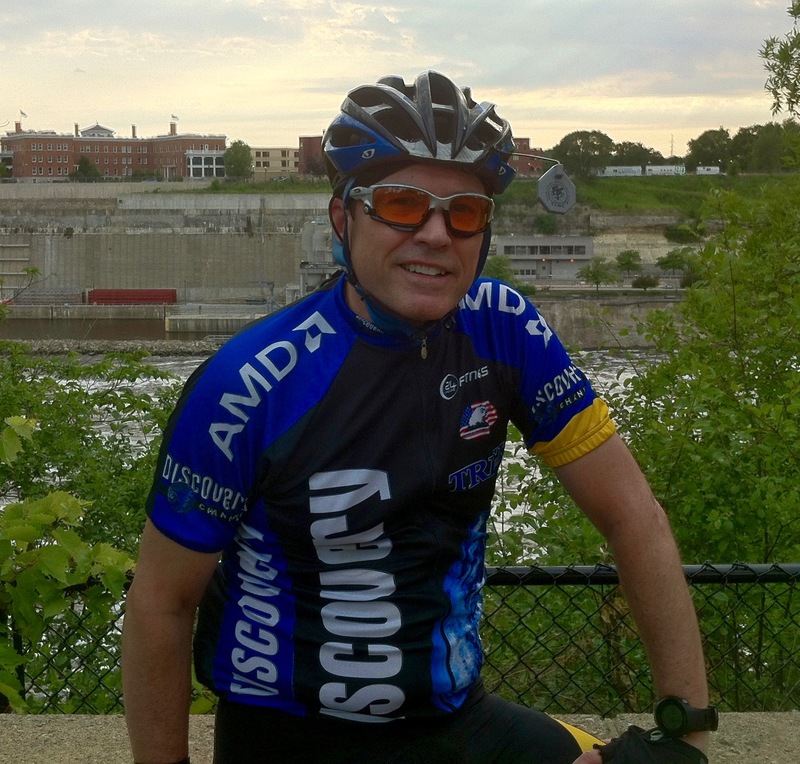 Total distance was just over 91K and average speed was about 25 KPH. 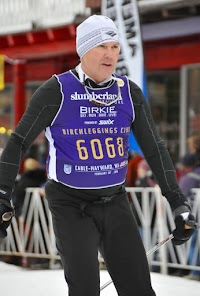 The temperature readings are overstated as the Garmin Edge 500, once in direct sunlight, will give false readings. Nice post Ed. Very informative and I enjoy your writing style. I also really enjoy reading about the details of rides. I wish I would start documenting my rides more often. Makes me think that i will start doing it that now. Keep posting...and riding!